Another week, anoter review! 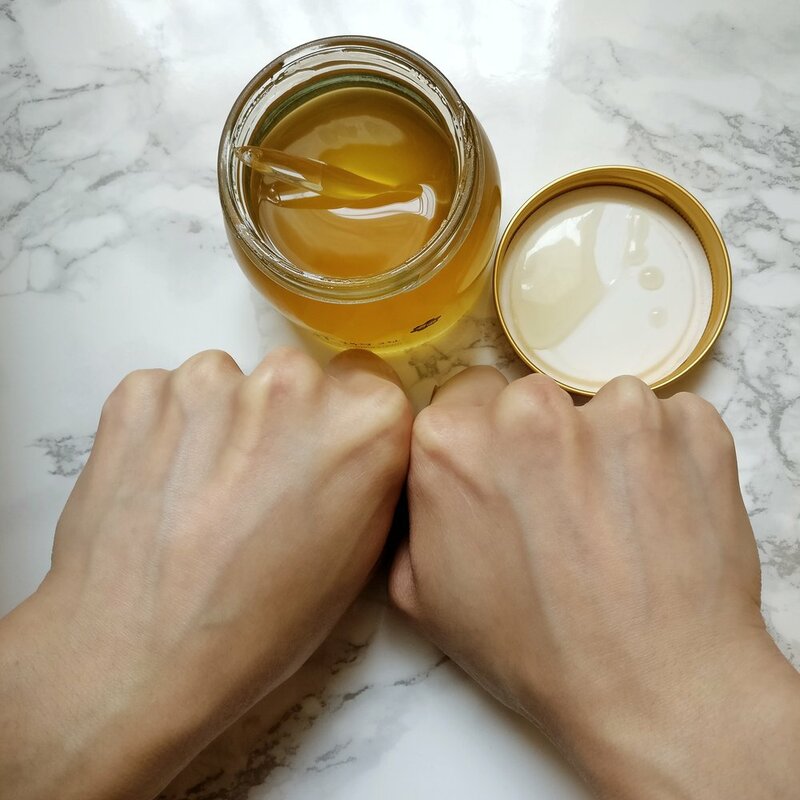 This week is the Blossom Jeju Camellia Soombi Deep Repair Moisturizer, kindly provided by Skinsider UK for review purposes. You can check out their product on their site here. You know it's a premium product when you love the packaging this much...! That statement may not be entirely true but you can count on me loving this packaging. The whole bottle feels luxurious - white and gold, a pump that dispenses the product out easily, a cap that fits right back on and no product residue at the pump, and the bottle feels heavy - like a glass bottle weight. I always have to err on the side of caution using this, like how I use my Whamisa toners because I'm such a clumsy being, but I do really love the packaging and it's just me who's clumsy. I'm sure most of you don't have such problems like I do! So, I watch enough Korean drama to know that the island of Jeju is one of the most popular places to visit in Korea, but also that it is a volcanic island containing ingredients that are great for skincare. You've seen other brands like Innisfree contain a line of products that is from the Jeju island, only this brand is created by an individual, Sungha, not only inspired by the island, but also found ingredients on the island to create these products. The ideal behind the brand is using their flagship ingredient, Camellia Oil, to create products that is natural, high performing and protect the skin from the environment, restore and maintain natural vitality and radiance. I may not be an expert in ingredients but I am thoroughly impressed by the first ingredient on the list: Camellia Japonica Flower Extract (66.63%). This comes before water and glycerin, and also what puts the brand at a higher price point. The list also contains Camellia Japonica Seed Oil (2.96%) and a great blend of fruit and nut oil, seed oil, root extracts, peel extracts and at the very end, fragrance. Honestly I struggled with this product, because it doesn't make me immediately love it. in fact, I was so confused about this at the beginning. My idea of a moisturiser is a lot thicker because I use it most often in the evening and during the day I still use slightly heavier moisturisers and/or sunscreen. This product's consistency is quite thin and smells amazing. I will put my hand up to say that I am not someone who likes heavily fragranted product - this moisturiser isn't heavily scented but my god the scent is divine. The combination of the floral, fruit, peels...etc. in the ingredients all meshed so well and created this scent that calms me down. 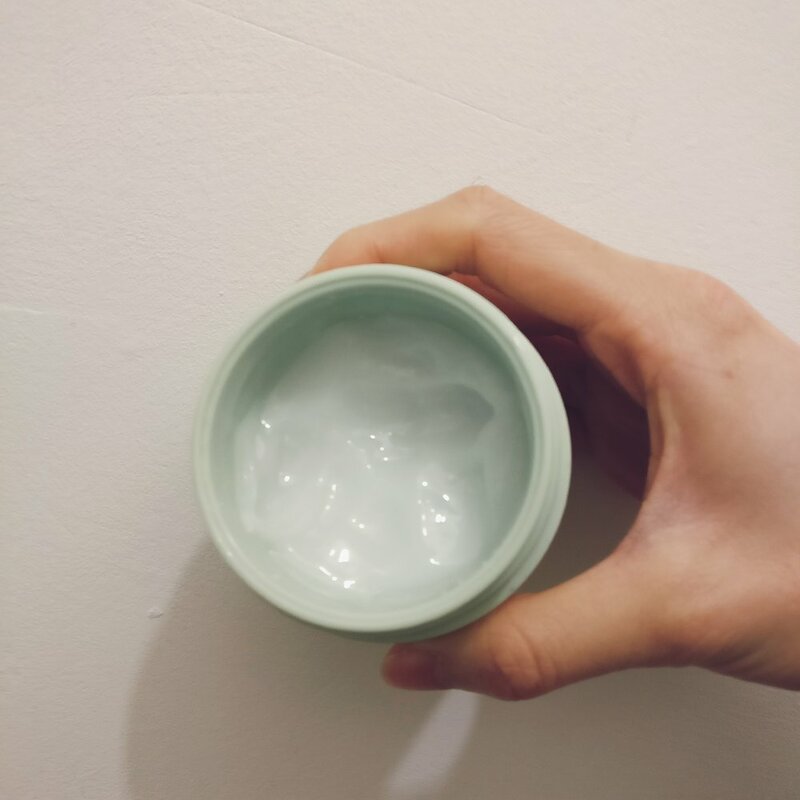 The Camellia Soombi Deep Repair moisturiser is quite a lightweight moisturiser, which means it gets absorbed into the skin very quickly and if you have dehydrated skin, you will feel like your skin just drank a good amount of water. For some weird reason I have experienced a little tightness in my skin after applying this. 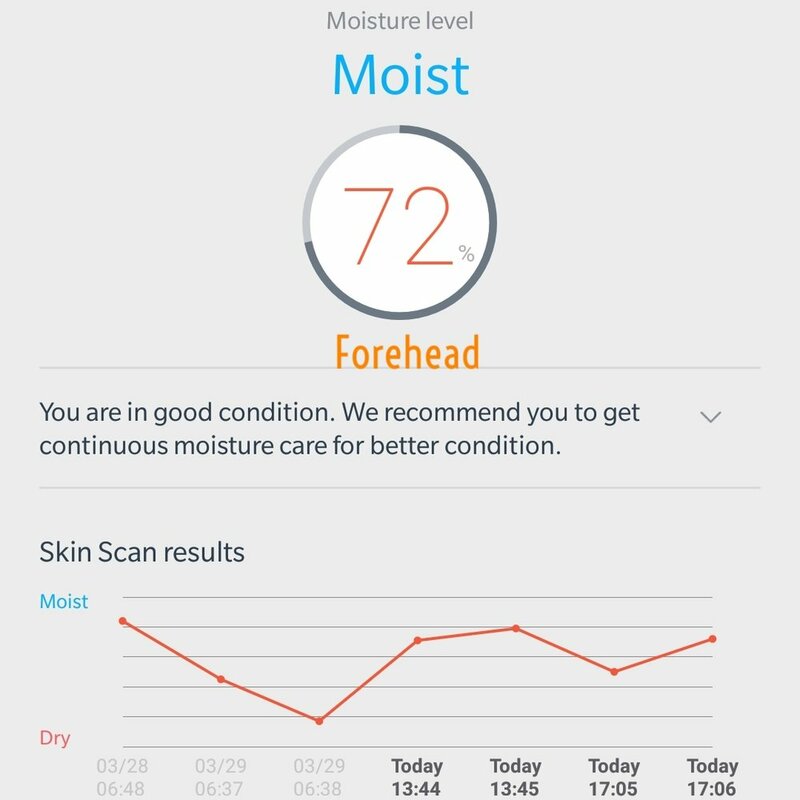 So after the initial moisture surge, my skin felt tight, a bit like it's dehydrated, and goes away when I apply the second layer. However, after using this continuously, this seems to have gone away so potentially this product has repaired skin barrier and made my skin more able to retain moisture. So you can see that I have applied the product to the back of my hand and I took a reading probably 15 minutes after. The other hand hasn't got any product on it (again, my hands/skin is notoriously dehydrated). You can see the stark difference in the readings 31% versus 12%. Good question, also one I can't answer. Reason being that because this is a natural product, it contains a lot of different extracts and oils that your skin may not be tolerant to - natural isn't always good, e.g. coconut oil has worked absolutely terrifyingly on my skin and I have never, ever used it again on my face or hair. There is coconut oil in this product, but it hasn't affect my skin, and most likely because it being furhter down the ingredient list as well as the entire formulation of the product that has worked, and despite some ingredients that I thought would be heavy (shea butter, mango seed butter, olive fruit oil...), this product is far from it and has absorbed into my skin really well. However, I do need 2 layers of this to feel hydrated and if I use this in the evening, I also layer a thicker moisturiser and sleeping mask on top. The price point for this is also higher (£45.00) than some other moisturisers, including my favourite Huxley (~£30.00) moisturisers, which are thicker but does not feel thick at all on the skin. If you have the budget for this, I would definitely recommend trying this, especially for the coming months where it will be warmer, or to combat the changing weather. I have used this in a "transition" season/weather and it has helped with my skin be more tolerant of my environment - I sleep and live within a very dry indoors too and my skin normally struggles to retain moisture, especially when the heating is on. If I wasn't such a hopper and curious to try so many different products, this is high up on my list to purchase. Not only does it look luxurious, it also feels luxurious with an incredible ingredient list. You can buy this from Skinsider UK (who have provided this for review purposes; my opinions are my own), and I have seen them do sale/discounts and bundles for their products. I think if this was paired with another product, e.g. serum, mask, toner, it may be a popular and decent set to have on the shelf. I say this often - one product does not always work well on its own, rather you will need to pair it or use it with other products within your routine to really bring out the qualities of the product. Each product have their own function that supports other products you use for your routine. 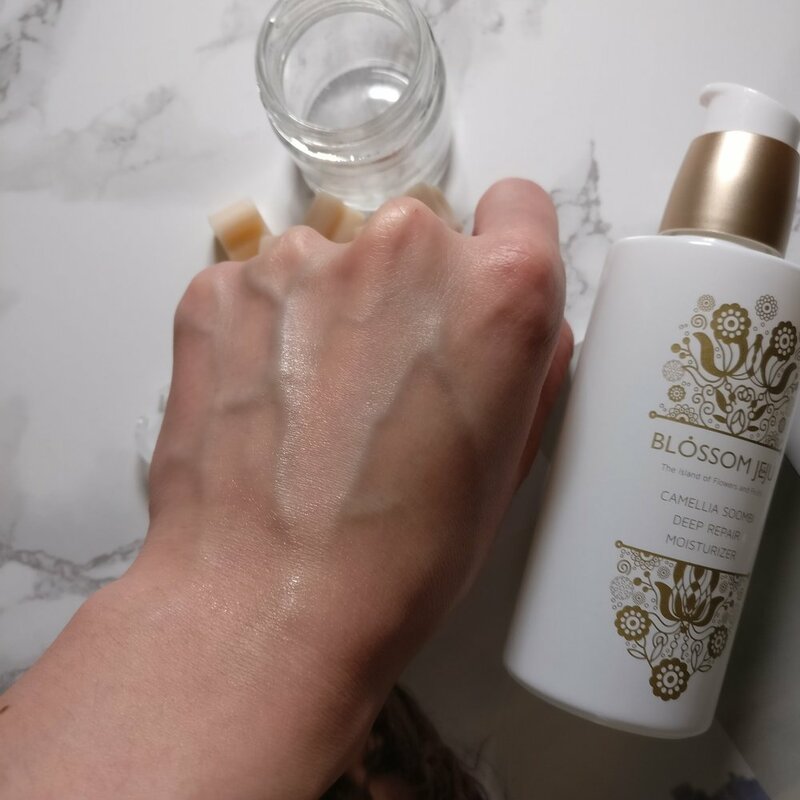 I would absolutely love to try the essence toner and use the 7 skin method to see if I can give my dehydrated skin some love and to achieve the "glass skin" that is so popular these days, and to pair it up with this moisturiser. This moisturiser is a solid 4/5 for me and I would definitely recommend this as a day moisturiser under your sunscreen and/or makeup; and would be a 5/5 if it was even more hydrating for my skin, i.e. I don't need to use 2 layers of it. This being said, this may be environmental factors and my original skin condition. I'd like to know if long use of this product is truly "anti-aging" and if there is a way to track if it really deeply repairs my skin to retain moisture better. 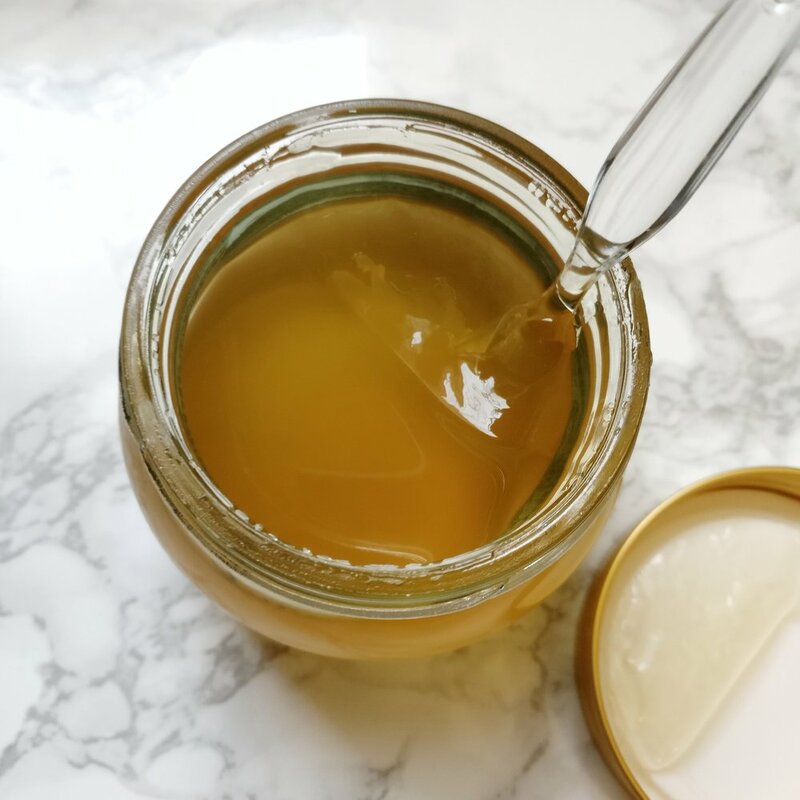 Skinsider UK provides a lot of information about the product - I would highly recommend looking at the ingredient list to see if there are potentially any ingredient that may irritate your skin in this product. Have you used this? What do you think of this and what other comments would you add? I don't know about you but I love evening skincare routines. It helps me winds down and because you will be heading to bed soon, it means that as your skin rests it will also absorb different products layered on throughout the night and you wake up to better skin (or eventually wake up to better skin). Some products only should be applied in the evening, e.g. vitamin C, and you can layer on more products in the evening than the morning because you're not going out and feeling like you've got a ton of skincare on your face. Of course this is just a personal preference! I find "locking in" the products you've layered on in your routine in the evening is super important, so everything stays on the skin until they're all absorbed throughout the night. It's also important for those who sleep in air conditioning or colder places as your skin can dehydrate throughout the night. When I lived in Asia, I had to make sure I layer on enough moisturising products on my face in the evening - in the summer - to make sure I don't wake up with super dehydrated skin. Here are a couple of products I've been using over the past few months to help me "lock in" everything I layered on to my skin in my evening routine. First is a moisturiser and second a sleeping mask to lock everything (including the moisturiser) in. I think I've hit a jackpot with moisturisers here. Honestly when I first got this I wasn't expecting this to work as well as I thought it would - but I was so wrong. I had 2 tubs of this as part of a deal on Sasa.com and bought them for a fraction of the original price and I've been in love with this product ever since first use. I actually use this product for day time too because of how light it is and needless to say I love it so much - it's now literally the only moisturiser I use in the cream part of my skin care routines. Sadly I am running low and almost hitting bottom of this second tub that I have, but I haven't been able to buy it again on Sasa.com. Sad times, but I do have other moisturisers to try out next (also k-beauty products) which I am really looking forward to. I've also come across a UK steam cream company/brand STEAMCREAM that I will definitely try at some point. If you've already tried this let me know what you think! Usually my routine ends with moisturiser, but lately I've been loving using a sleeping mask on top of the moisturiser (last step of the routine, I promise) to really lock everything in and reap in the benefits of the sleeping mask. Honestly I've never really liked sleeping mask - I used to use Vichy - because of how weird they make my skin feel and how it goes on to literally everything while I sleep. It's really not pretty haha. That being said I'm happy that I've opened up to sleeping mask again - to right ones, just to clarify! - because this one has been doing me a lot of favours throughout the night. 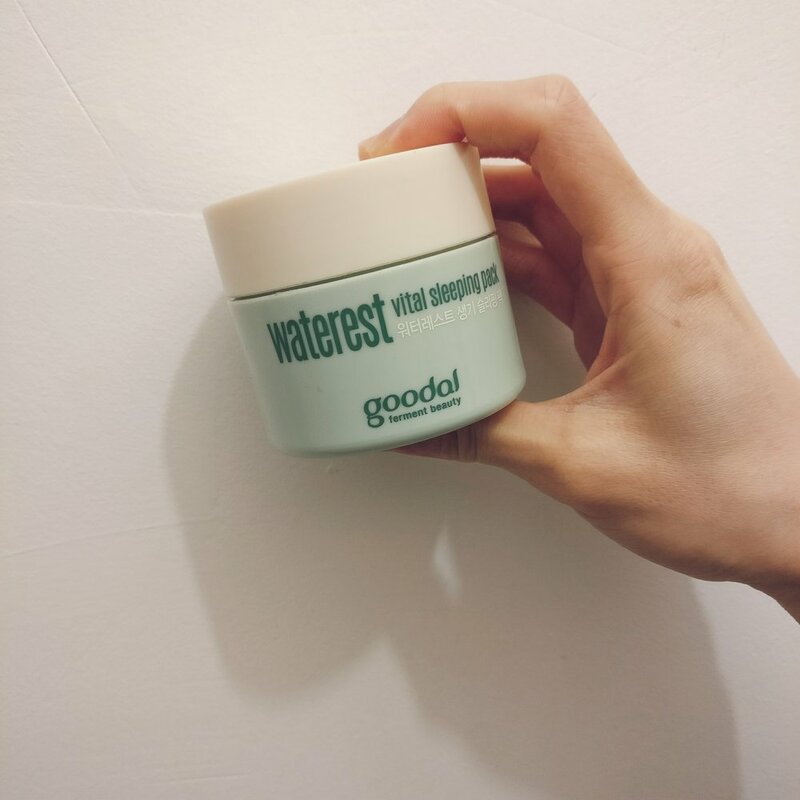 Goodal is another brand that I stumbled upon when I was living in Asia and I am absolutely gutted that I can't have easy access to them on the sites that I use in the UK to buy my K-Beauty/Asian beauty products - again, I got it from Sasa.com and they haven't stocked it to ship to UK since. I first came across their eye/lip makeup remover and hands down it's my absolute favourite eye/lip remover. Super gentle to the eyes but so damn effective. Anywway, this brand is pretty well known for its fermentation and hydration properties in their products, which is so up my street because if there is anything I will preach about, it's skin hydration. This sleeping mask is lightweight and you can just apply it like a gel/cream all over your face, or you can layer it on thick and then wash off later. I'm a lazy person I go for the prior option and keep my hair off before I go to bed so make sure everything is absorbed in so nothing smears on my pillow cases and etc. When I'm too tired or letting my skin take a break from face mask I would use this sleeping mask too so I feel like I still got my mask treatment in. 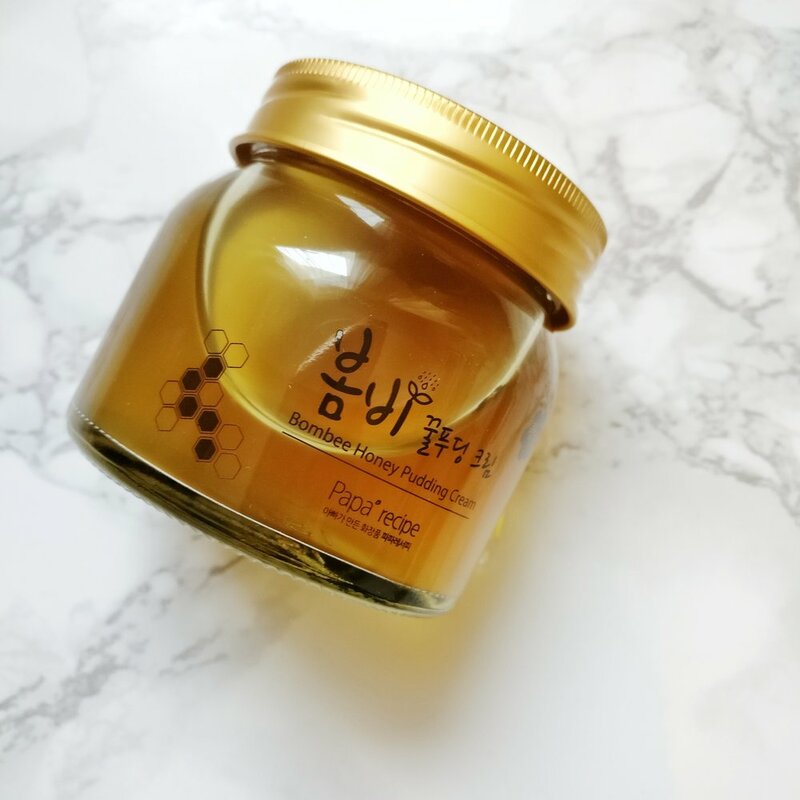 This mask sits really well on top of the skin and gradually gets absorbed in; as with all sleeping masks you'll feel like there's a layer of cling film on your face, but it certainly isn't as sticky as some of the other ones I've used. I wake up with skin not feeling dehydrated at all but there will still be a little residue that gets removed when I splash my face with water and wipe with miscellar water and toner. So there it is, my 2 current favourite products for the last steps of my skin care routine currently. Have you used either of them and what do you think? Disclaimer: all products have been purchased by me, no sponsored content and whilst these products worked for me, it doesn't necessarily work for you.